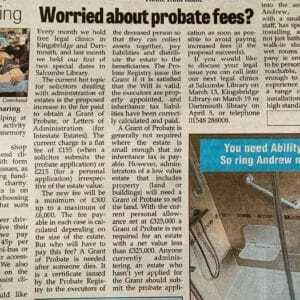 The current hot topic for solicitors dealing with administration of estates is the proposed increase to the fee paid to obtain a Grant of Probate, or Letters of Administration (for Intestate Estates). The current charge is a flat fee of £155 (when a solicitor submits the probate application) or £215 (for a personal application) irrespective of the value of the estate. The new fee will be a minimum of £300 up to a maximum of £6,000. The fee payable in each case is calculated depending on the size of the estate. But who will have to pay this fee? 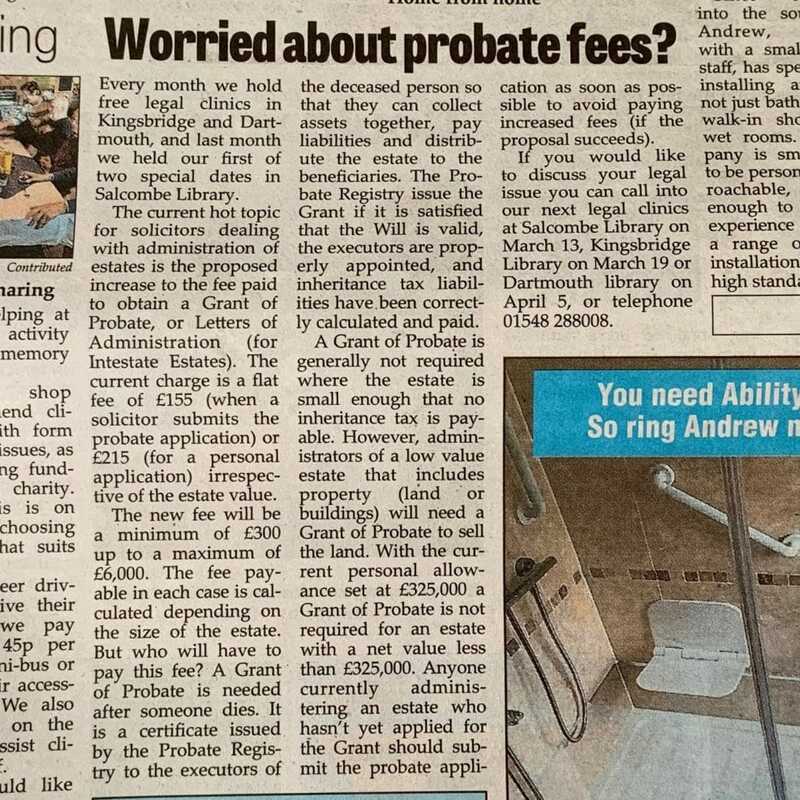 A Grant of Probate is needed after someone dies. It is a certificate issued by the Probate Registry to the executors of the deceased person so that they can collect assets together, pay liabilities and distribute the estate to the beneficiaries. The Probate Registry issue the Grant if it is satisfied that the Will is valid, the executors are properly appointed, and inheritance tax liabilities have been correctly calculated and paid. A Grant of Probate is generally not required where the estate is small enough that no inheritance tax is payable however it depends on the rules of financial institution where the funds are held. However, administrators of a low value estate that includes property (land or buildings) will need a Grant of Probate to sell the land. Anyone currently administering an estate who hasn’t yet applied for the Grant should submit the probate application as soon as possible to avoid paying increased fees (if the proposal succeeds).